First she will be professionally cleaned at the time of sale. 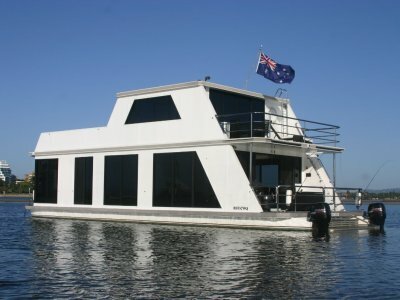 Lets be honest, yes she is untidy, but where else are you going to find a sub $60,000 live aboard with a walk arround bed. Current owner needs to move as he has health complications. 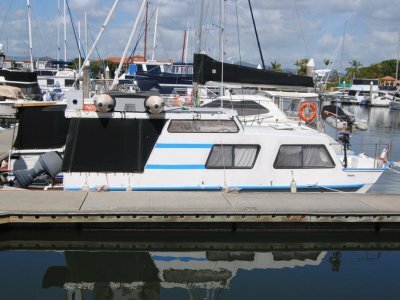 Currently located at Hope Island Resort Marina where the current owner lives aboard, berth available for you to continue too live. 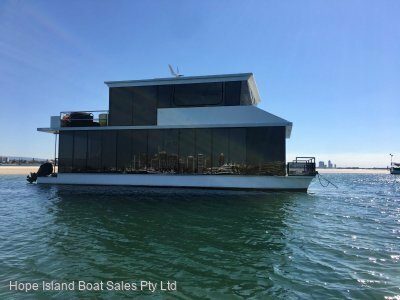 Lovely little live aboard for a very resonable price. Lots of storage, generous kitchen and bathroom. 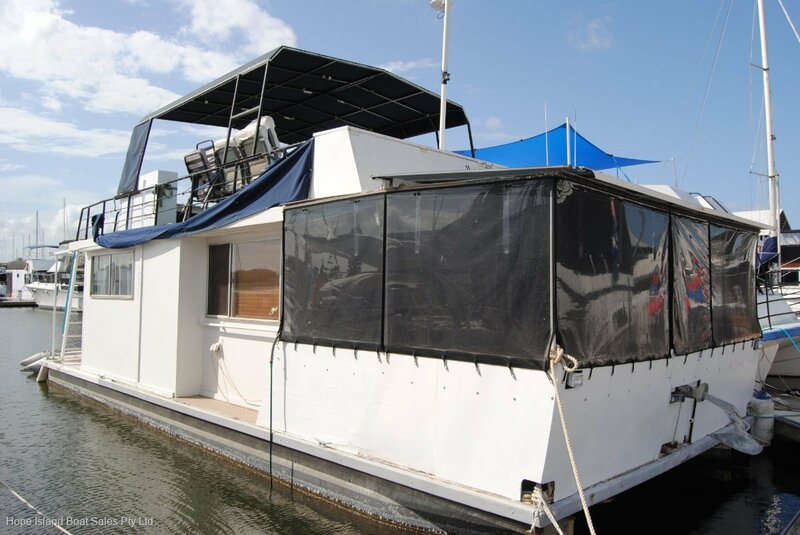 Generous front deck and covers that are in reasonable condition, that offer a lovely second living space. 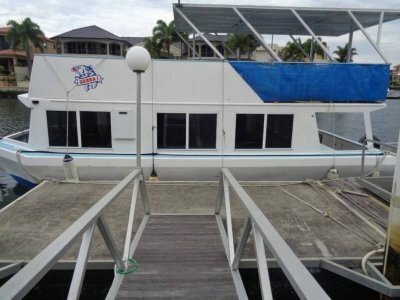 So if you can see past the mess and have a limited budget, then this little aluminium set up to live aboard house boat is for you. Its worth your time to inspect.